Victory for Colin's Brother in the Class 2 Tanners Wine Handicap Chase at Ludlow on Wednesday capped a remarkable few weeks for his dam Dd's Glenalla. Dd's Glenalla won a 3m1f hurdle and is a half-sister to bumper winner Glenalla Star, but aside from that, there is nothing too remarkable about her pedigree. However, the 19-year-old daughter of Be My Native mare has had three of her offspring win five races in the last five weeks - I Am Colin, a seven-year-old son of Zafeen; Colin's Brother, a six-year-old gelding by Overbury; and Colin's Sister, a five-year-old Central Park mare. The three horses in question are all owned and bred by Caroline Beresford-Wylie. 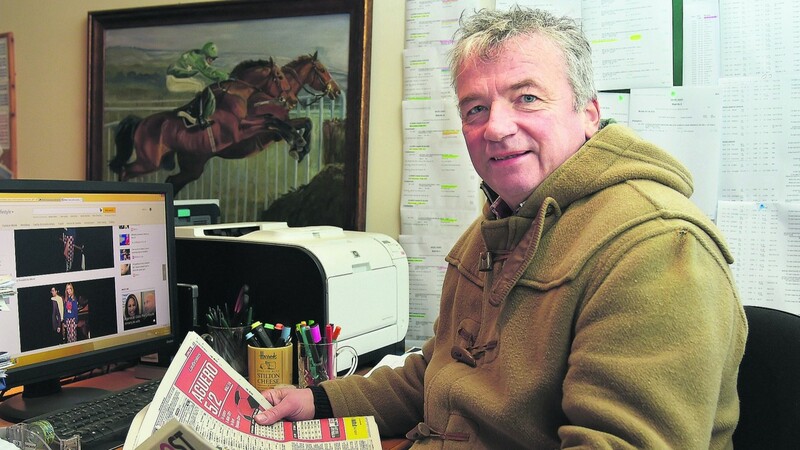 I Am Colin and Colin's Brother are trained by Nigel Twiston-Davies, while Colin's Sister is with Fergal O'Brien. Colin's Sister began the remarkable run for her dam when scoring in a novice hurdle at Warwick on November 16. Ten days later, Colin's Brother won a Class 4 handicap chase at Bangor and just over an hour later I Am Colin won a Class 3 handicap chase there as well to complete a notable double for Twiston-Davies and Beresford-Wylie. Fast-forward to last Saturday, and Colin's Sister added black-type to the family's pedigree by winning a Listed novice hurdle at Haydock, seeing off My Khaleesi by six lengths. The icing on the cake was the win for Colin's Brother in the valuable Ludlow race on Wednesday. All in all, an impressive few weeks for the dam and there could yet be more to come. Hillary C, a four-year-old filly by Kayf Tara, was sixth in a bumper earlier this year, while there is also a three-year-old colt and a yearling filly both by Pasternak yet to race. Hillary C is owned, bred and trained by Nigel Twiston-Davies, while the other two are also bred by the trainer. Dd's Glenalla was covered by Blue Bresil this year.